This post may contain affiliate links. Full affiliate disclosure and more information on affiliate links can be found here. 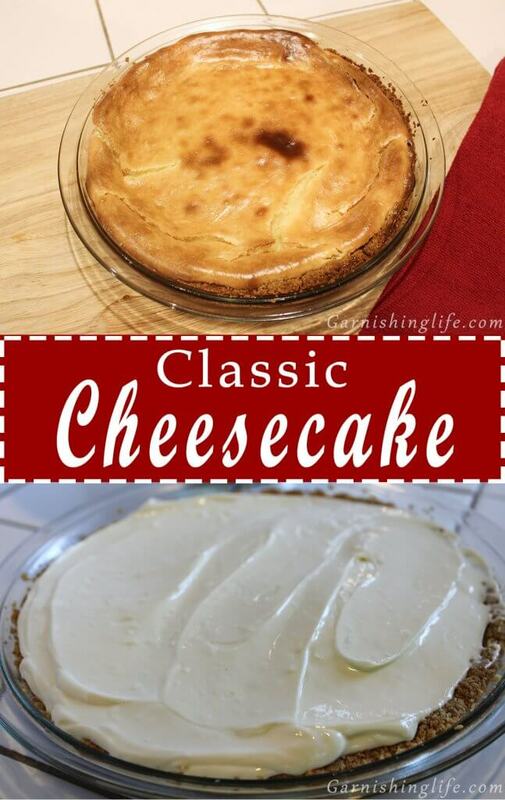 I needed the PERFECT Classic Cheesecake recipe for two reasons. Hello! We all need a go-to cheesecake recipe that we can whip out whenever we feel like it. My oldest nephew just graduated from High School and I was nominated to bake his party cake. 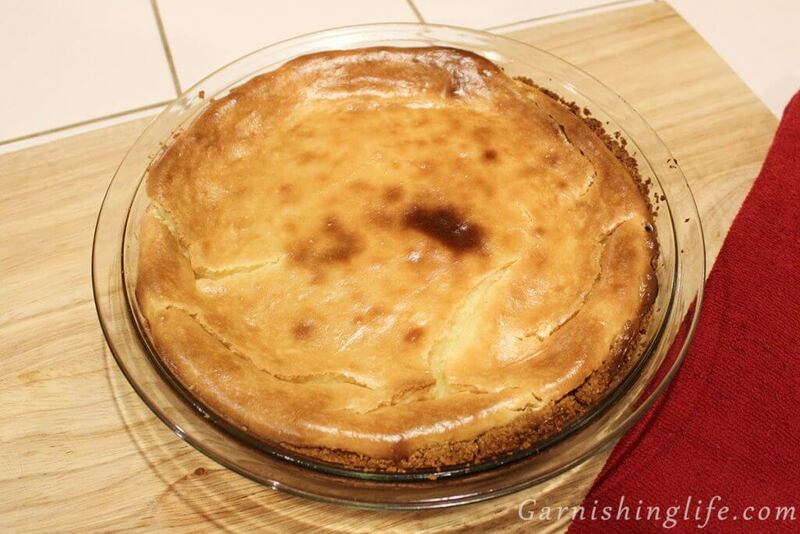 His favorite treat is Cheesecake, and I had a cake idea that would use a premade Cheesecake. That in itself will be a whole other post. But for now, here’s the Cheesecake portion. 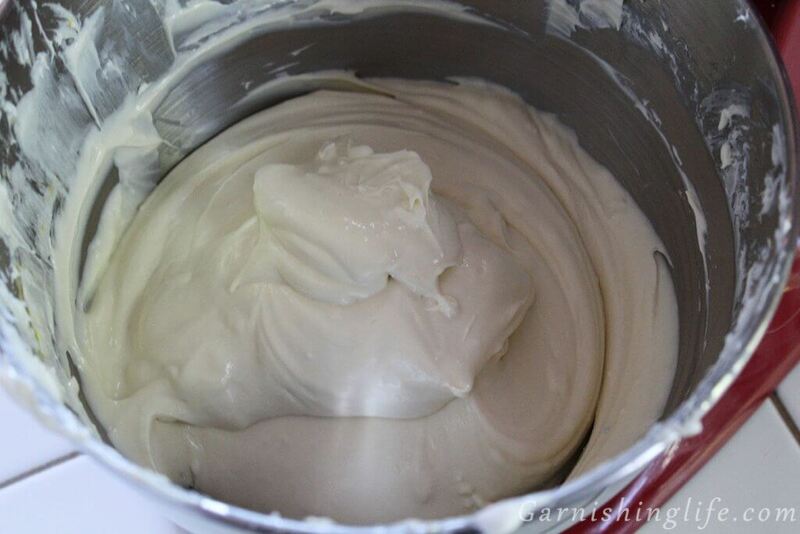 You want to start with softened, room temperature cream cheese, I let it sit out for just a bit while I gather all of my ingredients and such. While the oven preheats, beat cream cheese, brown and white sugars on medium to combine. 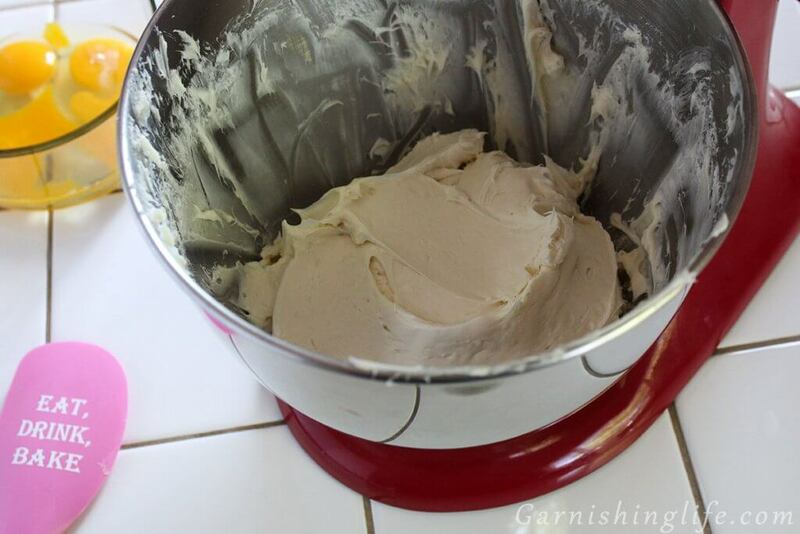 I continuously stop the mixer to scrape the sides and the bottom of the bowl. 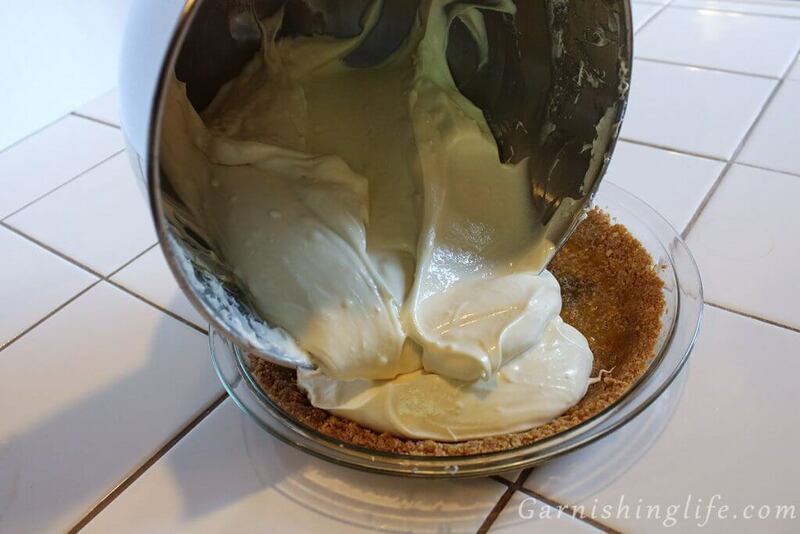 I don’t recommend using a hand mixer as this step will yield a very thick cream, a hand mixer will likely struggle. Although, a stand mixer isn’t great at getting everything in the mix. So, I’ll use a rubber spatula to add those bits to the mix. And look at my super cute spatula. I am so in love with cute spatulas. I have so many ideas for spatula themes that I could daydream for… cats on a spatula, various cookies or pies, tv show or podcast references… *sigh*. Is there somewhere that I can have them created?! 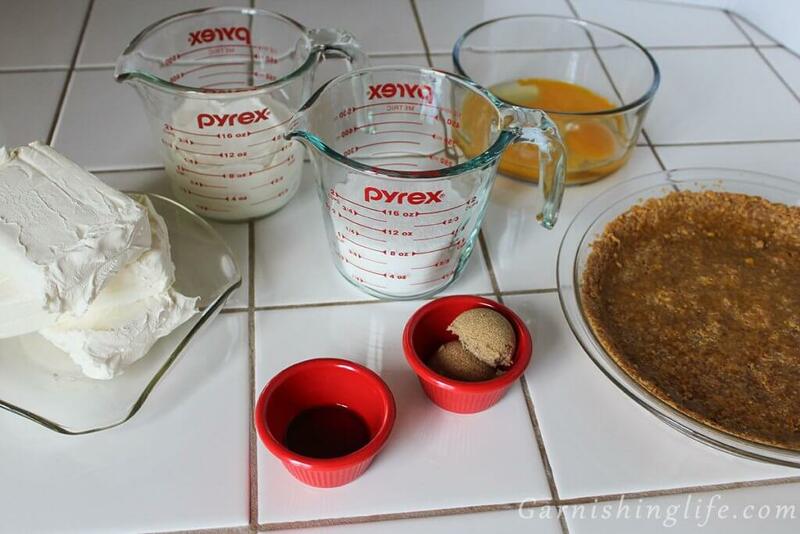 Anywaaaaays… with the mixer still spinning – I’ll then beat in the sour cream and vanilla. Beat until smooth and creamy. Make sure you have a splash guard set in place and add each egg – one at a time. Mixing on low, and thoroughly between. Your filling will get a bit more gooey from the eggs, but still thick. Then pour directly into the crust. 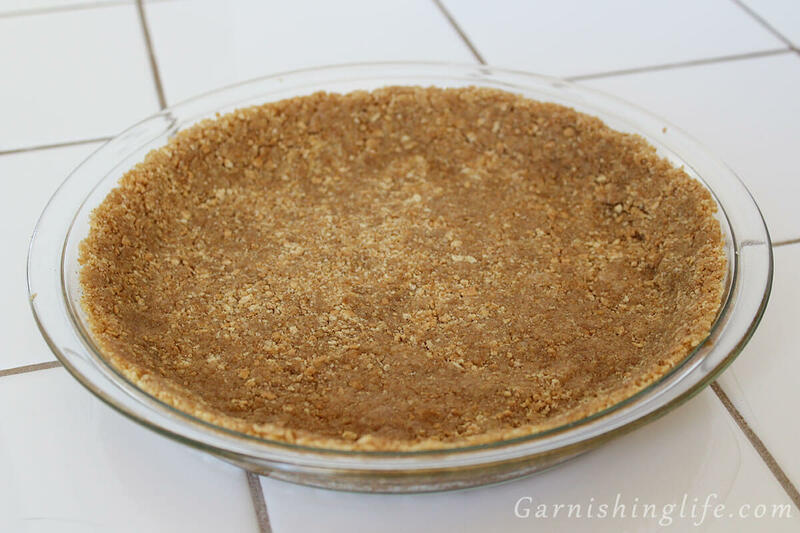 Try my homemade Graham Cracker Crust. This may or may not be a necessary step, but I can’t just leave it like that. I use my rubber spatula to smooth the top out, just a bit. And you’re ready to bake- one hour. When time is up, your middle will be a bit set and the top will have started to brown, however if you wiggle that cheesecake it will jiggle back at you. It won’t fully solidify until it is cooled. But we’re not there yet! That baby needs to slowly come back down in temperature. If you take it directly out, it may deflate a bit. I’ve found it stays higher and almost more airy if you just let it sit in the oven an additional hour- and it’ll continue to cook that jiggly part. So heat off and door open. Allow the cheesecake to cool before it goes in the fridge. Then cover with plastic wrap or foil and chill for another 4 hours. And finally, we Garnish. 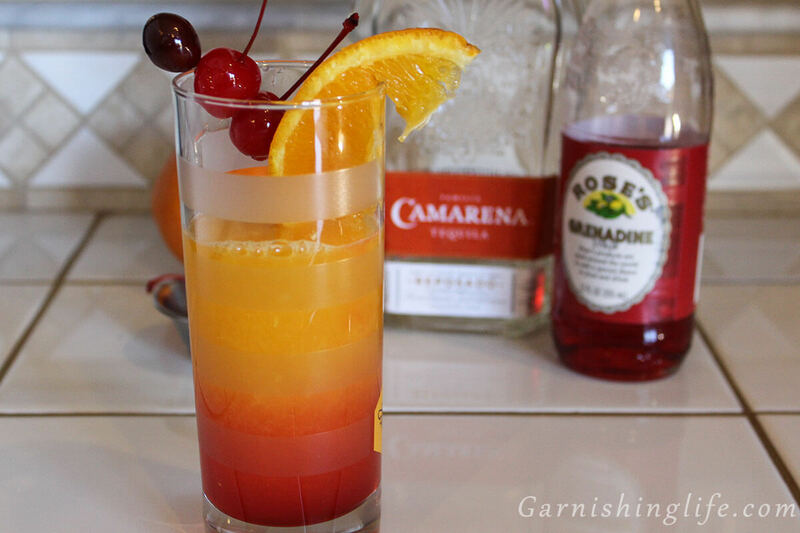 I failed on getting you a photo of the garnishing step, we kind of dug in before I could even garnish… But, go ahead and add a layer of fresh fruit and puree, or drizzled chocolate. Homemade Whipped Cream and crumbled graham crackers would be delicious too. Cover the cheesecake, or apply per slice. It’s really up to you at this point! Just be sure to Enjoy! Preheat oven to 350 °. Beat cream cheese and sugars on medium to combine, scraping sides of bowl as needed, until creamy. Add sour cream and vanilla. Beat on low until combined. Bake for one hour, until middle is set. The cheesecake will not be fully solid, yet. Turn off the oven and open oven door. Allow cheesecake to sit for an additional hour. Garnish as desired with fresh fruit, drizzled chocolate, whipped cream or graham cracker crumbs. Leftovers? Refrigerate in an airtight container for up to 1 week. Or - cut individual pieces, wrap tightly in plastic wrap and place in plastic freezer bags. You may keep frozen up to 3 weeks. To defrost, thaw in the fridge overnight. 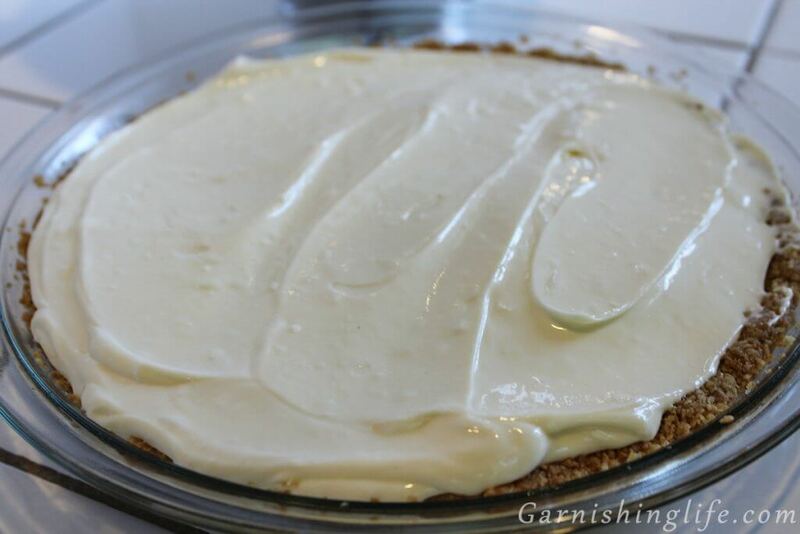 Between the time the cheesecake goes in your oven and the time it is fully cooled, be very gentle with it. The slightest jiggle or knock on the oven door can cause it to get irritated and deflate! This isn’t very common, but I have had it happen. 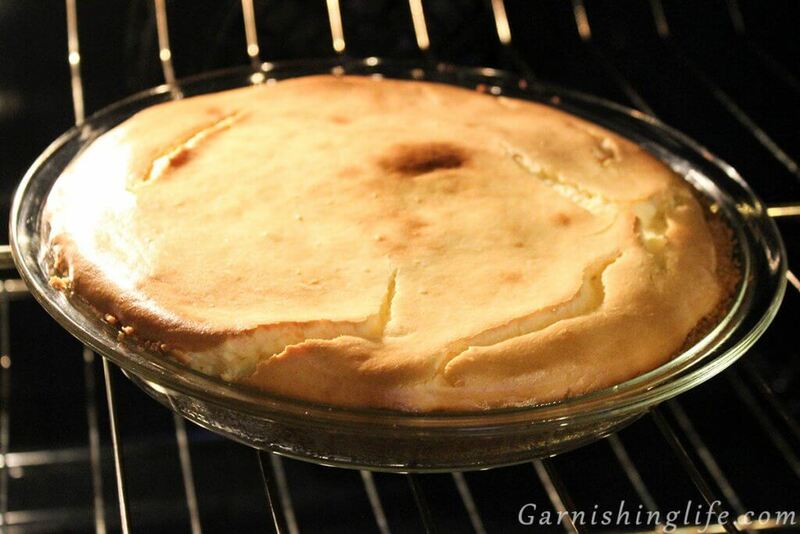 While it’s baking, the very top will have a portion of skin, which traps some air within the filling. I love your layout. This is really simple and fun to read and definitely will be a recipe I use! 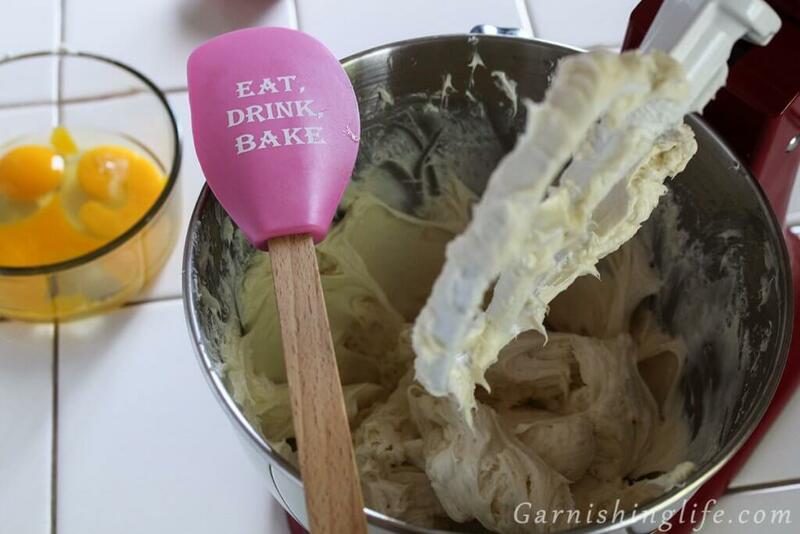 I love your spatula and think a new line of them through your blog would be amazing! Please let me know if you come out with one. Thank you so much for the feedback Sara! That is a great idea for a line of spatulas, I will for sure let you know if we get to that point. 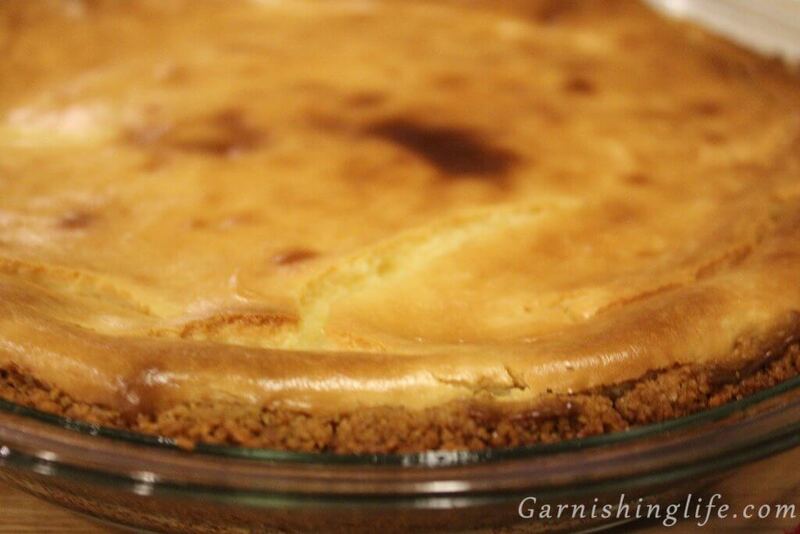 Please post a picture of your version of my cheesecake and tag us @garnishinglife so we can see! I can’t wait!